People who own older-model automobiles are no longer stuck playing their worn-out cassettes through the original-equipment audio systems. 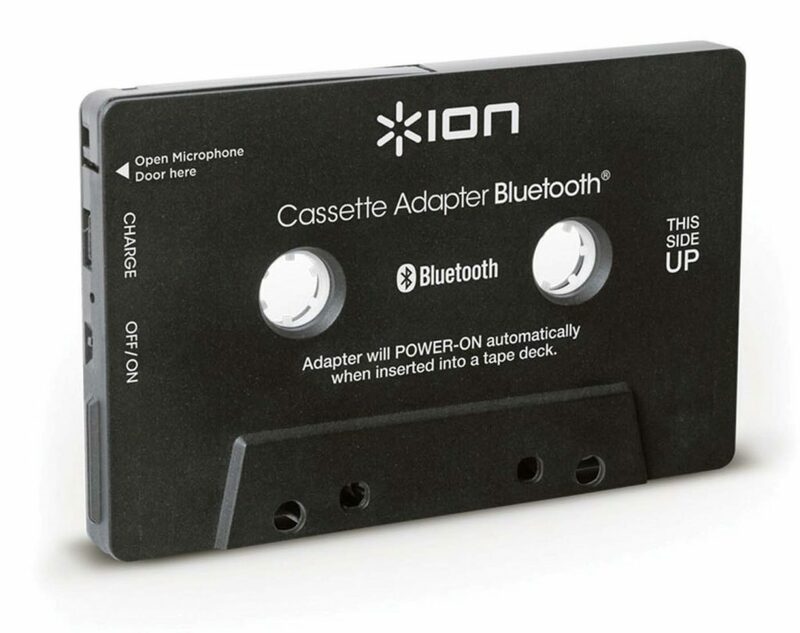 A modern solution is at hand with the Cassette Adaptor Bluetooth from Ion Sound Experiences. The system looks just like a regular audio cassette, but when inserted into the appropriate slot, it’s Bluetooth receiver, so long as the rechargeable battery inside is topped up (the manufacturer claims it should last for about six hours). In an instant, you can be playing your tunes from your phone or music player. A built-in microphone that hangs outside the unit also allows for hands-free phone calls. Head to www.ionaudio.com to get one for $30.